At AAMCO Transmissions and Total Car Care of Lancaster, our professional, highly-trained technicians can perform quality auto repairs on your vehicle using the latest technologies. When you bring your car in for service, we always conduct a thorough evaluation of your vehicle’s repair needs so that we can be 100% certain before moving forward with repairs. We also back all of our work with a comprehensive warranty. If you’re looking for a national brand you can trust, but also want superior local service, come to AAMCO Transmissions and Total Car Care on Witmer Road in Lancaster. We’re part of a national auto repair services leader with a locally owned and operated auto repair shop right here in Central Pennsylvania. That’s why so many people in Lancaster rely on AAMCO for the kind of car repair shop services that include everything from transmissions to tune-ups. While you may expect our customers to appreciate the professionalism of our highly trained technicians and auto mechanics, you may not know that our customers come back to AAMCO because of our fair and honest service. We respect our customers. That's why AAMCO has become one of Lancaster’s most respected name in transmissions, and one of the area’s favorite car repair shops. Lancaster County car and truck owners choose to have their vehicles serviced here. At AAMCO Transmissions and Total Car Care of Lancaster, our auto repair shop offers the area’s most comprehensive transmission repairs for both manual and automatic transmissions. If repair isn’t an option for your vehicle’s transmission, our specialized auto mechanics are also experts at rebuilding or replacing your car or truck’s entire transmission. And to make your life a little easier, our car repair shop offers free towing with any major transmission or auto repair. Of course, transmissions are just part of what we do. You can also rely on AAMCO Lancaster for almost all of your car and truck maintenance and car repair service needs including tune-ups, oil changes, battery service, belts and hoses, brake repair, heating and cooling, radiator repair, and emission and exhaust services. And because we employ such a highly-trained team of auto repair mechanics and specialists, the auto mechanics at AAMCO Lancaster can provide complete electronic diagnostics for all parts of your vehicle, including the engine. When you look for a car repair shop, you need to make sure they offer everything you need. That’s why AAMCO offers TranScan and external diagnostics, differential repair and overhaul, brake service and repair, engine tune-up and fuel injection cleaning, steering and suspension repair, transfer case and differential service, and more. After all, when Central PA looks for affordable, dependable services and repairs for cars, trucks, SUVs, or fleet vehicles, they want a car repair shop with experienced, trusted auto mechanics. 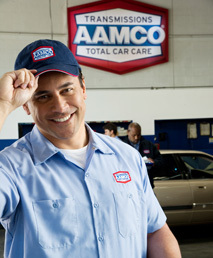 AAMCO has been a leader in Lancaster County auto repair services for 50 years, and the Witmer Road location continues to combine the latest technology with expert technicians who accurately diagnose your auto repair, fix it right the first time, and back everything with a powerful, nationwide warranty. Finally, we our offer a local fleet program that will help keep your vehicles on the road with warranty coverage that is comparable to our national fleets. Call or stop in today to learn more.